I liked this when I ate it for the first time. 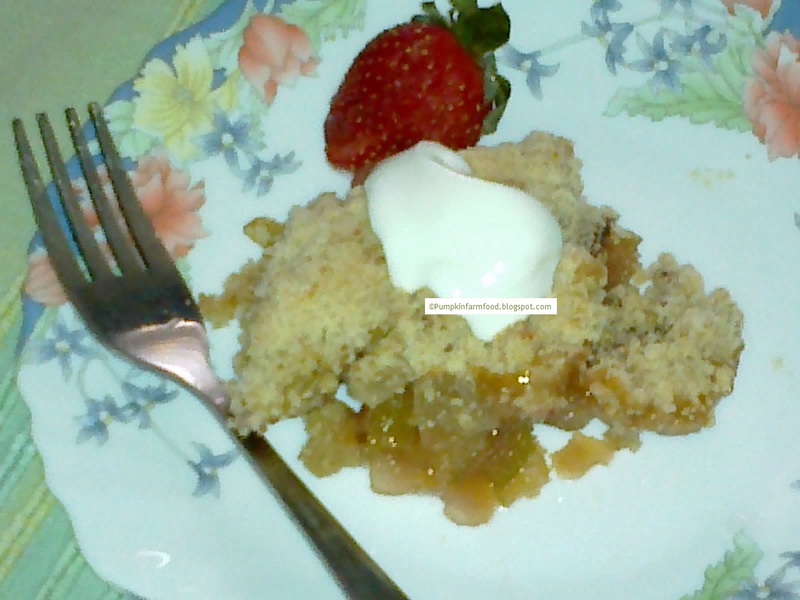 I appreciated the taste then and now I like the fact that it is also easy to make at home. Give it a try especially during the cold winter days. I make this often now as my little one thinks this is cake served with jam and kheer. All his favorite dishes clubbed in one. It is very easy to make. This is often served along with cream, custard or vanilla icecream. Either ways it is good. 1) In the baking tray, mix the fruits, raisins , sugar and corn flour and mix well. Let it stand so the juices start oozing out. Preheat the oven at 180c for 5 min. 2) In another bowl, take the flour for crumble and butter (chopped in small pieces). Using your finger tips, rub the flour with the butter until the flour becomes bread crumbs like. 3) Now add sugar to the flour mixture. 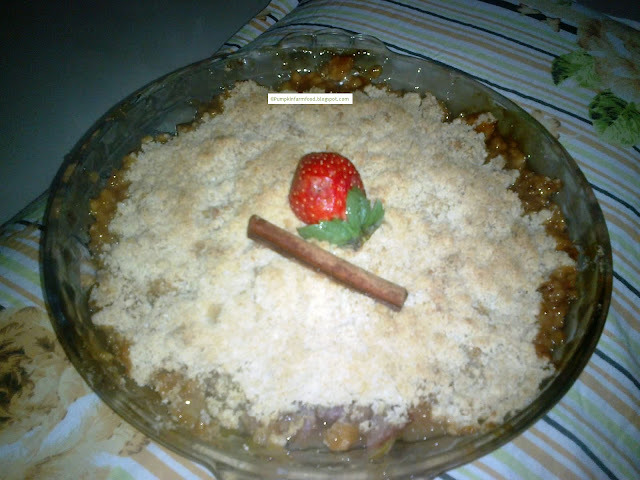 4) Spread the crumble mixture on top of the fruits to cover the fruits, It does not need to be even. 5) Now bake this for about 15 min or until the crumble is cooked. 6) Serve hot with fresh cream or custard. sounds so easy shall have to attempt it sometime!! Wish to have with some scoops of vanilla icecream..delicious crumble. Delicious dessert! Thanks for sharing. Quick and yummy one. Thanks for linking it to my event. I love to prepare it often and sounds so yummy!!! Winter appropriate dessert. I prefer my crumbles warm on a cold winter evening! this is a classic dessert that was one of the first desserts I started making many many years ago. However, when I make it, I use oats in the crumble topping which makes it a little healthier and gives the topping a nicer crunch, I think.